Received: New potatoes (again); carrots (again); broccoli; fennel (yes! ); white onions; cavolo nero (and milk). Free gift: A small loaf of brown bread from the real bread company. 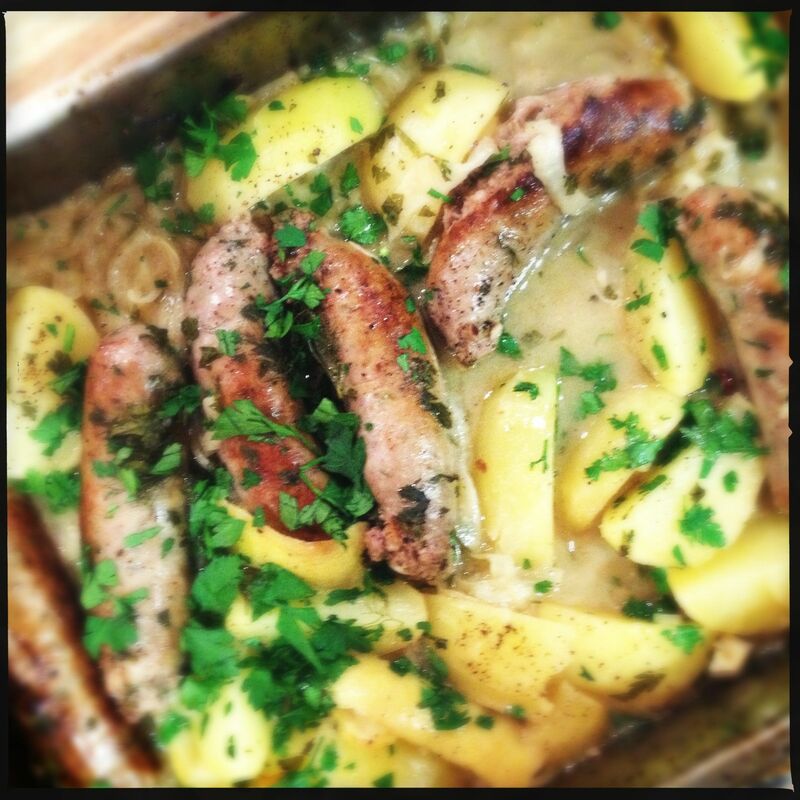 The new potatoes and fennel roasted up right nice in this Italian sausage and fennel one pot wonder. Half the onions became beauteous crispy onion rings for an epic Friday-night movie feast. 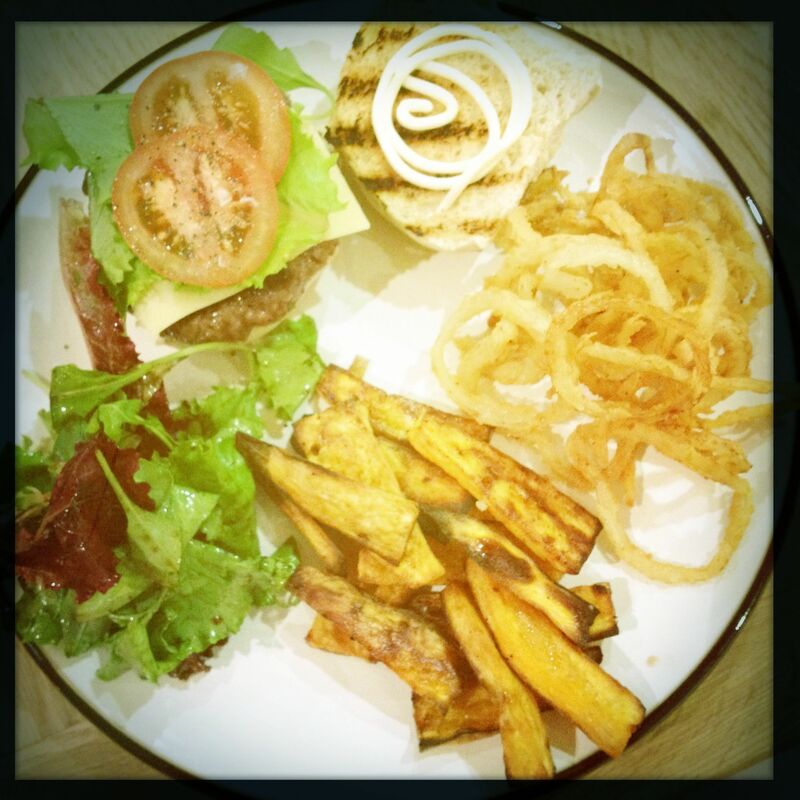 Burgers, sweet potato chips and onion rings? Booyah! 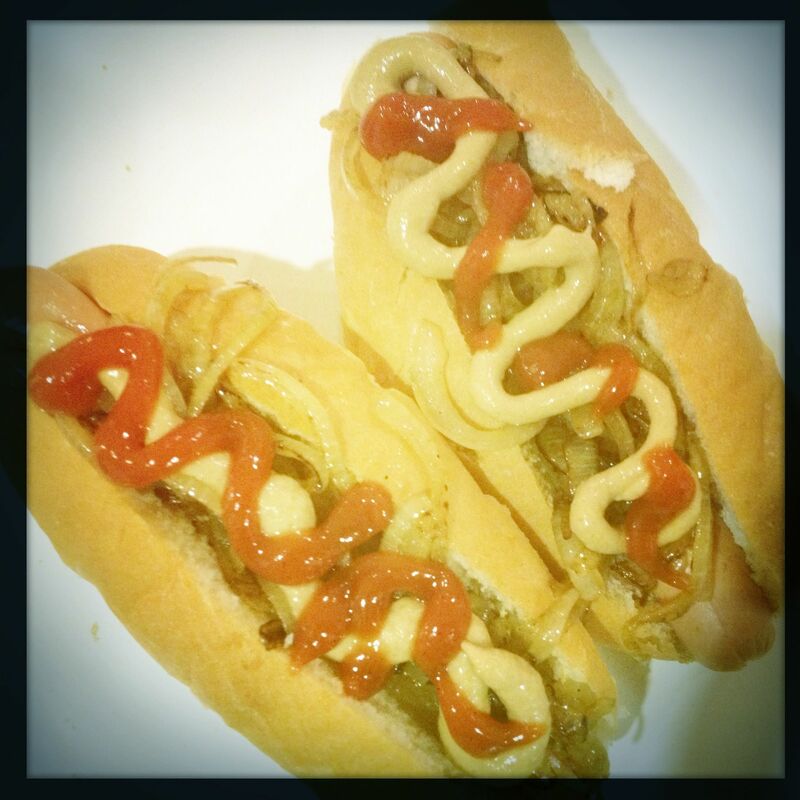 The other half were fried until caramelised and used to adorn these dogs. 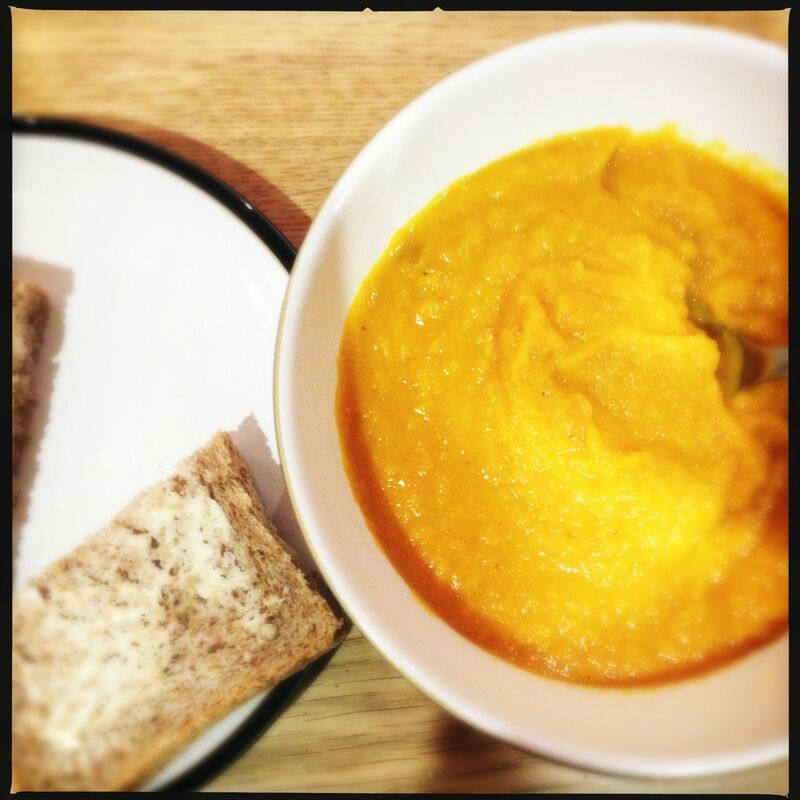 Carrot and lentil soup, I’m afraid. 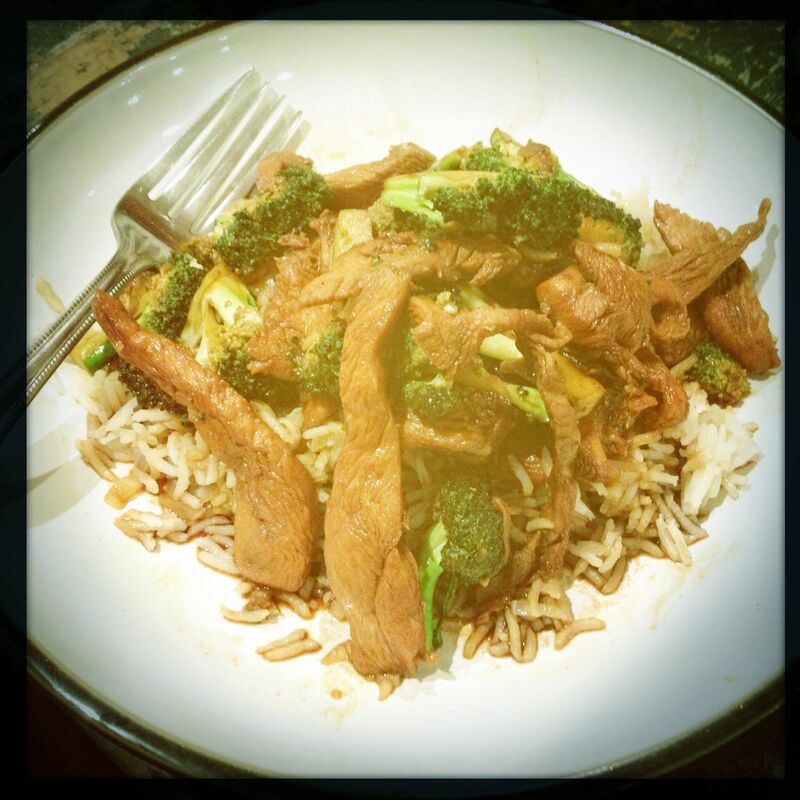 The broccoli went into Sven’s favourite chicken stir fry. I usually use tenderstem broccoli, but it works fine with good old garden variety broccs too. 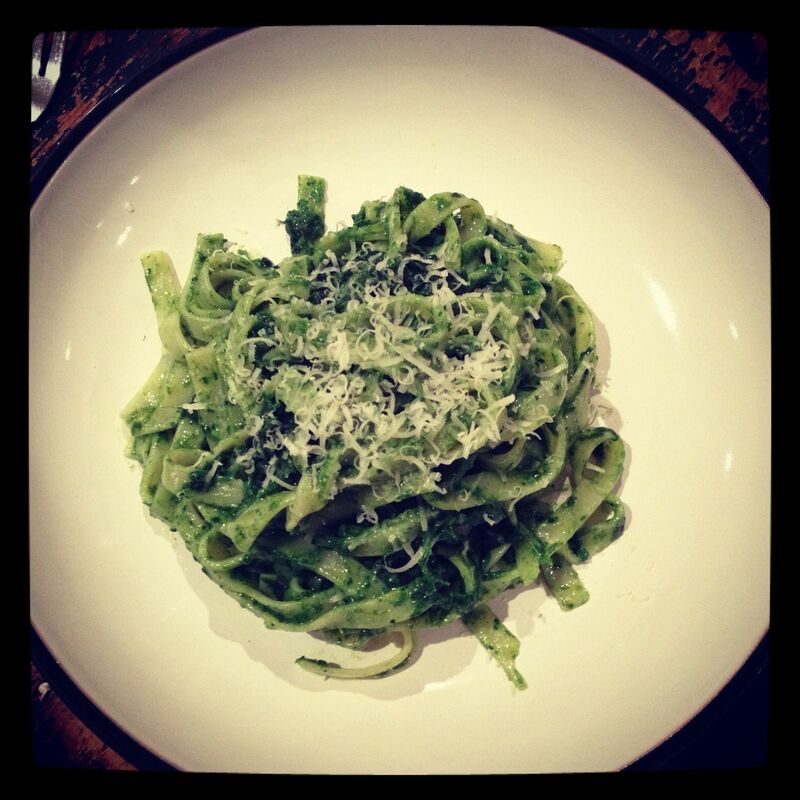 But the discovery of the week has to go to this cavolo nero pesto and tagliatelle, which I adapted from this recipe. It was so amazing, I made it twice in the same week. Wastage: A few new potatoes. It all looks yummy! How about carrot salad next week? cavolo nero pesto is a new one on me but sounds fantastic – will check it out. I guess it’s not really a pesto as it doesn’t have pine nuts in, but you know what I mean!